Calendar: «International Day of Families», «Family Day in Nevada», «Parents’ Day». 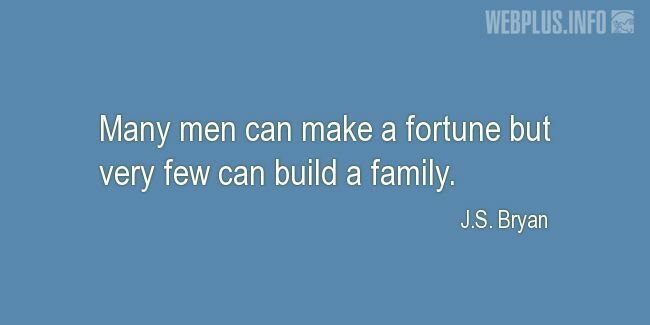 «Very few can build a family» illustrated quotation. Family, free quote pictures for Facebook, Twitter, LinkedIn, Reddit, Pinterest and other social networks.